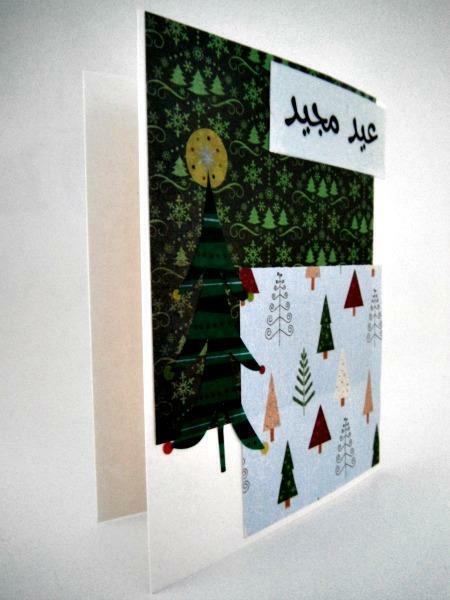 Your friends will love this Arabic tree themed Christmas card. 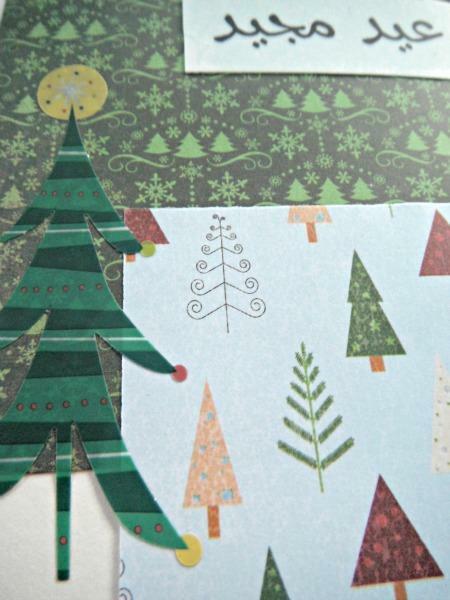 The background features two kinds of complimentary cardstock paper. 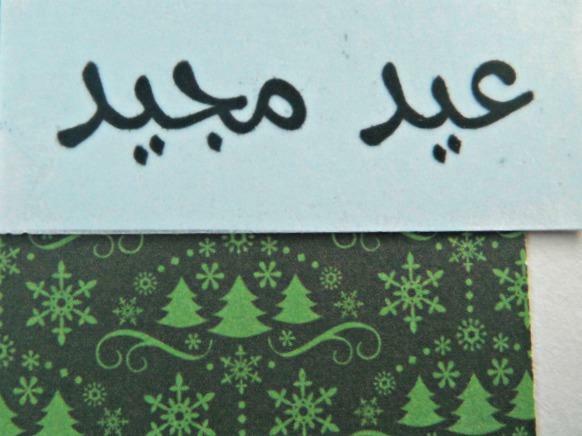 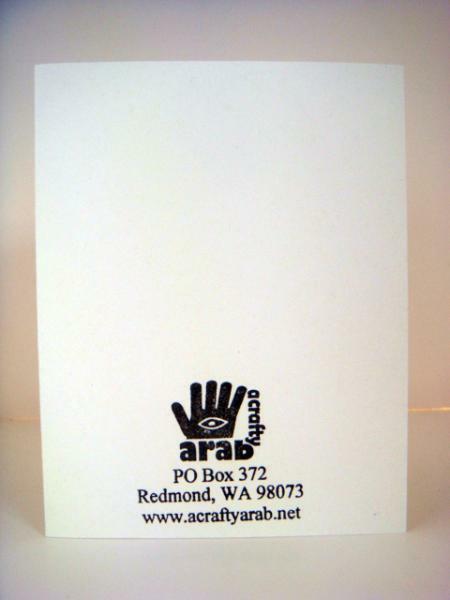 A Christmas tree sticker has also be placed on top, along with "Eid Majid" which means Merry Christmas in Arabic, which has been printed on vellum and added to light blue cardstock.